Transparency and trust are the foundations of an inclusive community. The Office of Equity, Diversity, and Inclusions and UC San Diego conduct regular surveys on EDI issues across campus. Here you will find the quantitative and qualitative outcomes of our efforts: accountability data dashboards, as well as a series of detailed reports focused on inclusivity - from campus climate feedback to the success of diverse campus committees over the years. 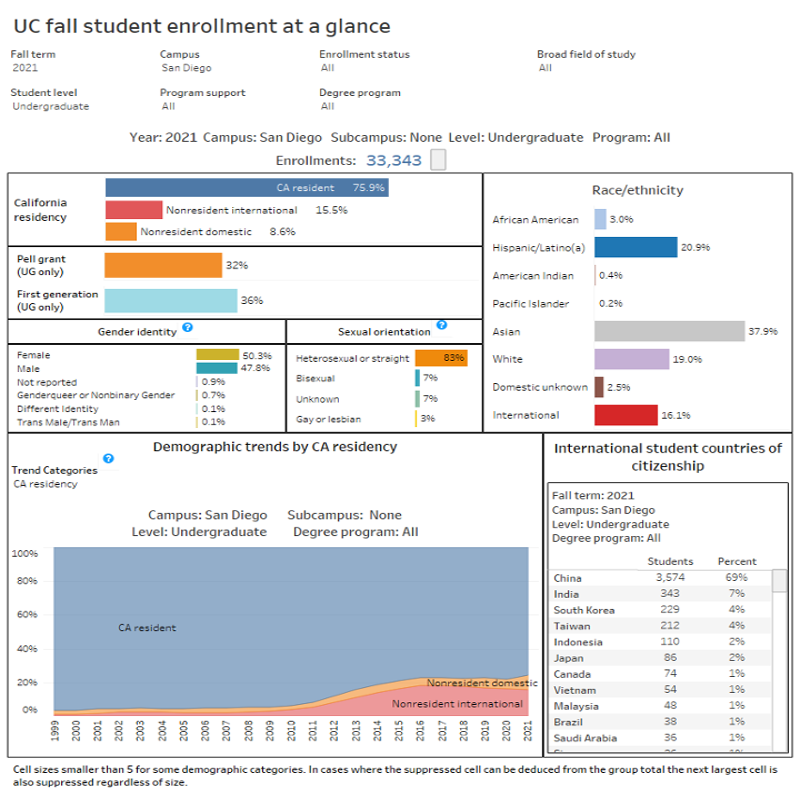 UC San Diego’s progress in creating an inclusive campus is presented here in a series of interactive dashboards. The dashboards display all data on key indicators like recruitment, retention, and advancement. Play with the data and track our progress yourself! We welcome feedback to guide development. 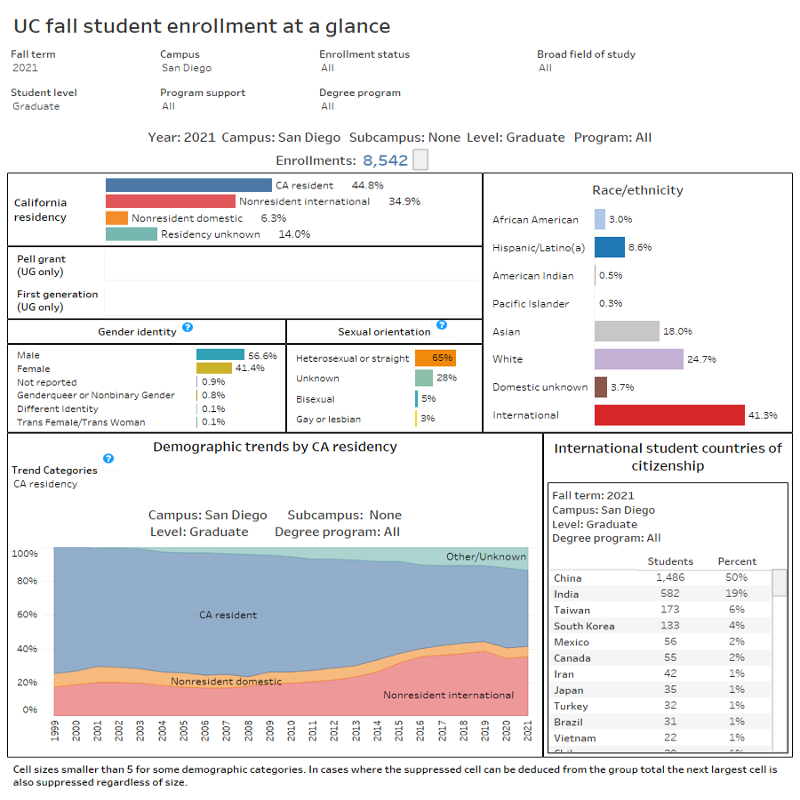 Send comments or questions concerning the dashboards to ir@ucsd.edu. 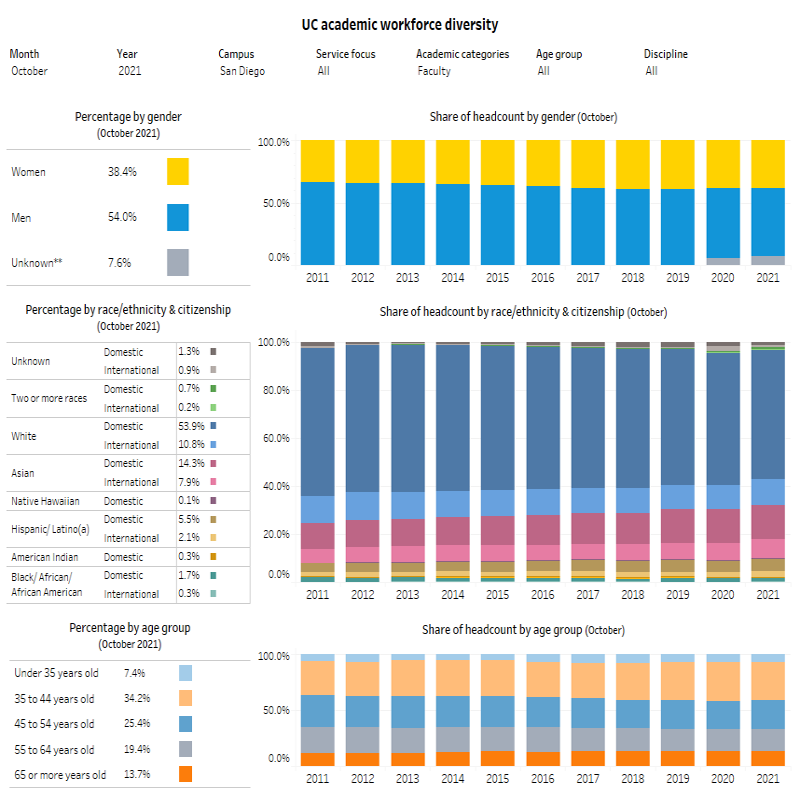 Below are UC San Diego reports prepared by campus committees, task forces, advisory panels and other campus groups regarding faculty, gender, equity and racial diversity. 2017 Staff@Work Survey Diversity Report. Find more information on the website. 2016 Staff@Work Survey Diversity Report. Find more information on the website.